Truthwitch just may have been my most anticipated book ever. Like ever. 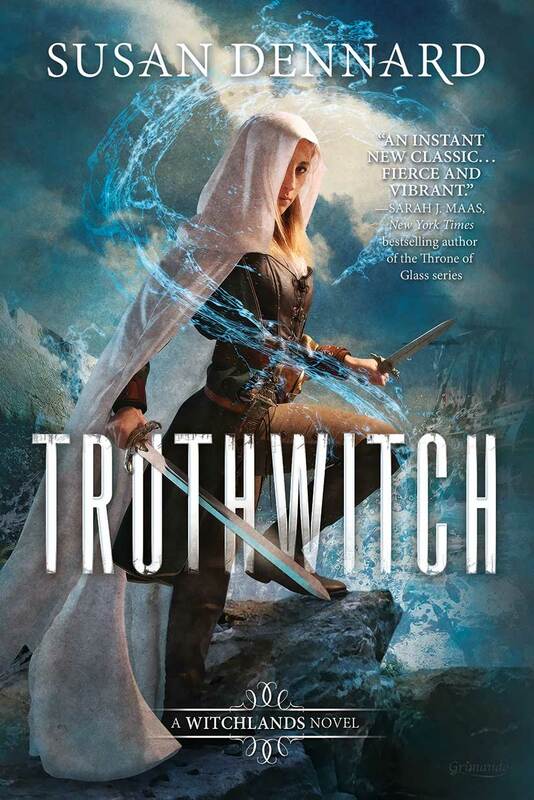 I’ve waited for many, many books before but none quite like I have for Truthwitch. I first heard about Truthwitch in 2014, after I read the first two books in Susan Dennard’s Something Strange and Deadly trilogy and joined her newsletter. Right away, I was intrigued since I love high fantasy and this like a book that would be right up my alley. The more I learned about Truthwitch over the next year, the more excited I grew and the more I started telling my friends who love to read about it as well. I’ve never promoted a book as much as did Truthwitch, which is in part due to the street team (shoutout to my lovely air witches), and I freaked out and was even a little bit shocked when I found out that I had won a much coveted signed UK ARC from Susan. Suffice to say, my expectations kept growing, and I think that’s why I didn’t actually pick the book up right away. When I did start the book, I did like it, but something was missing. I liked the characters and setting, but the plot was not where my expectations were. THEN the real plot and action unfolded along with secrets, deceptions, and destinies, and I was beyond hooked. The story was action-packed throughout the entire novel and filled with many adventures. I was not bored once, and I definitely kept turning the pages faster and faster the further I got into the story. I don’t want to spoil anything so just know that you’re in for a real treat with this story and will not be left disappointed. Truthwitch is told in third POV with a focus on four individuals. I loved flipping back and forth into the different perspectives. Each of the four main characters—Safiya, Iseult, Merik, and Aeduan—brought their own insights and twists to the story, which kept it fresh, moving, and very interesting. I loved seeing everything unfold right before my eyes before the characters even knew what was going on. I especially loved Safi and Iseult’s friendship. Safi and Iseult are Threadsisters, and their relationship is beautiful. Safi is a bit reckless, but Iseult makes up for it by being calm and collected. All in all, they balance each other out perfectly, and make a pretty badass fighting duo, too. And, oh man, don’t even get me started with the romance. I heard that there was a slow burn romance and was very excited for it, but I was not prepared for just how great it was and it ended up blowing me away. I was dying the entire time just waiting for it to happen. And when it did? It was glorious. (Those thrice-damned wind drums, though). Overall, if you can’t tell by now, I loved Truthwitch so very much and it’s most definitely a new favorite of mine. It’s going to be a long wait for the sequel, Windwitch, but I know that it will be well worth it. This is a must-read, and I can’t recommend it enough. With every review I read about Truthwitch, my expectations for it just keep soaring! I’m curious about the world-building – I haven’t read high fantasy in a while so this would be a fun experience 😀 I like the sound of the slow-burn romance too. Definitely putting this book on my to-read list this year! Great review! Thank you! I hope you love Truthwitch when you read it! I was so glad that it surpassed my expectations and all the hype, and I hope it passes yours as well! I LOVED the world-building and was so impressed by how great and detailed it was. And, oh man, the romance is definitely in my top favs. Happy reading! I’m so glad you loved Truthwitch, and that it met all of your expectations! You’re super lucky to have a signed ARC, haha. I really want to read it because I’ve heard loads of good things. It seems pretty much everyone has loved it. I really hope I’m able to get to it soon! I’m so glad that you loved Truthwitch just as much as I did! It’s defintiely going to be a long wait for Windwitch, but it’ll be worth it! 🙂 Thanks!